This is a guideline of people who might be considered as nominees for the California Hall Of Fame. 2. Contribution to the sport of wrestling. 3. Accomplishments as a coach, official, participant or supporter. 4. Setting an example both on and off the mat (ethical character). Please send in the names of people that you would like to nominate with the following information. All information will be sent by email. No written profile will be accepted by mail. They can be sent at any time, but should be sent by June the year before the banquet in May. 1. Hall of Fame – Outstanding Wrestling accomplishments, Outstanding Coaching accomplishments and Outstanding service to the sport. 2. Lifetime Service –Individuals that have dedicated not only years (a minimum of 10 years), but decades to the sport, that hardly ever get recognized. Referees, tournament directors, photography, newsletters, bracket, statisticians, head table admin, volunteers, etc. Nominees name, email and phoneHalf page profile on the nominee. Profiles that are longer will be shortened to a half page, possibly leaving out important information. It is important that we have in place a process that will a) recognize any deserving person, b) will be fair, considering all areas of the state and all categories of nominees (coaches, participants, officials, supporters, etc. ), and, will be a practical, workable process. Therefore, the following selection procedure is in place. 1. Local representative receives nominations by June for a May banquet. 2. Local Committee meets and selects 15 HOF nominations and 10 Lifetime Service in July/August. 3. These names are forwarded to the HOF President and Director in August. 4. 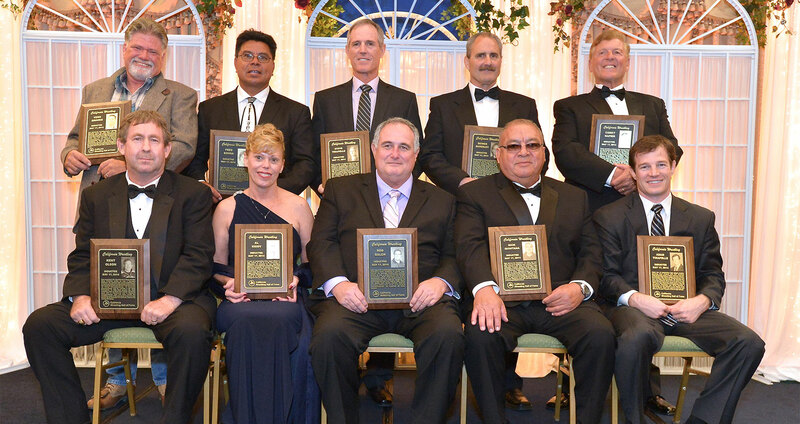 Each California Wrestling Hall Of Fame Committee member (25) will receive a list of 15 possible nominees along with a profile on each nominee. The member will select(vote) a maximum of 10 names of people he/she feels are worthy candidates in September. 5. The vote from each member will be tabulated. The top 10 nominees, as a result of tabulating the lists submitted by the members will be the hall of fame finalists. 7. Names will be announced in November.